Select a fabric to view the test results. ProVent Plus is an exclusive bilaminate microporous composite fabric that offers barrier protection against blood, body fluids and viral threats. 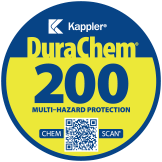 As the fabric used for Kappler’s NFPA 1999 certified single-use garment (style PPH439-99), ProVent Plus passes both ASTM 1670 blood penetration and ASTM 1671 viral penetration tests. In addition to excellent protection, he high moisture vapor transmission rate (MVTR) of the breathable fabric provides a more comfortable garment, ideal for biohazard applications. Color is Light Blue. ProVent 7000 is a lightweight microporous film composite that provides excellent protection against hazardous particles and light liquid splash in a breathable fabric. ProVent 7000 also passes ASTM 1670 for blood penetration resistance. Color is White. Lantex 100 offers an exclusive breathable fabric in a tactical garment design, and is the only NFPA 1999 certified single-use garment that provides an economical solution for fentanyl response situations faced by law enforcement. With its breathable barrier fabric for enhanced comfort, plus the tactical design, Lantex 100 offers a proven, affordable alternative to expensive reusable garments. 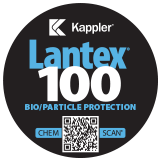 Lantex 100 also provides proven biohazard protection, passing the ASTM F1671 blood/viral penetration test. Color is Black. Zytron 100 garments provide excellent protection for basic chemical resistance, ideal for applications where workers need protection from dry particulates and light splash. Color is Yellow. 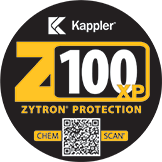 Zytron 100XP is a tougher version of Z100 – the same excellent chemical holdout for dry particulates to light splash, with stronger physical properties. Color is Blue. Zytron 400 is one tough customer, with excellent physical properties. It’s also a bargain by comparison, with a broad range of chemical protection typically found in garments costing much more. Color is Dark Green. Zytron 500 is the classic hazmat responder choice. 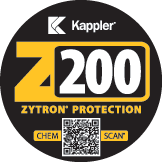 It’s tough, built for mobility, and based on patented technology that created the first material to survive eight full hours against the ASTM F1001 Test Battery with no breakthrough.Tested against hundreds of chemicals, responders around the world trust Z500 garments for ultra-demanding Level A and Level B applications. Available in coveralls and a range of total encapsulating suits. Color is Orange or Charcoal Gray. 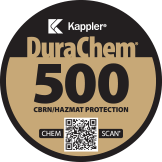 DuraChem® 500 is the game-changing NFPA 1994 solution for terrorism incident response. Combining a durable woven material with proven chemical protection, it’s the only NFPA-certified terrorism response suit to meet one elusive goal: maximum protection at an affordable price. Designed as a 'multi-use, single-exposure’ garment, it's much more affordable than expensive reusables. Certified to NFPA Class 1 and Class 2, DuraChem 500 offers proven CBRN/Hazmat protection in a tactical style garment. Frontline 500 fabric offers triple assurance with a single suit certified to NFPA 1991. 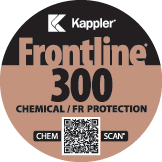 Frontline 500 offers three-way protection – broad chemical holdout, plus flame resistance and radiant heat protection for the additional hazards encountered in a chemical flash-fire. Color is Silver.